We’d love your help. Let us know what’s wrong with this preview of From Afar by Frank Scozzari. To ask other readers questions about From Afar, please sign up. Again, I consider myself a bit of a lucky duck. I feel privileged to be asked by an author to read their book they’ve worked so hard on, and to be sent a copy. So firstly I extend my thanks to the author for this. Literary fiction is not a genre I’m expert at, I’m not much of an expert at anything.. but reading, yes I am! I enjoy learning and in fact, it’s probably one of my most important factors to a successful reading experience. Frank Scozzari has written a moving fictional account of one man’ Again, I consider myself a bit of a lucky duck. I feel privileged to be asked by an author to read their book they’ve worked so hard on, and to be sent a copy. So firstly I extend my thanks to the author for this. Frank Scozzari has written a moving fictional account of one man’s attempt to simply find someone to love. What a guy he was. Straight up, trusting, giving. He finds his way to Russia and goes through a kind of comedy of errors whilst unwittingly ending this Russian sojourn with his own coming of age. Simple and crisp, I think Mr Scozzari is very skilled at this type of descriptive writing, whilst conveying the emotions of his protagonist who is trying so hard to find something that seems to be so elusive. It was ok and wasn't that interesting as I expected it to be . The book started good but at 25% it was too difficult for me to read it but I did anyway . There were some funny moments though . She sighed with thoughtful reflection. Narrater's friend kim seemed a funny woman too and The book is full of depressed thoughts in the starting . But there are many beautiful thoughts of narrater you just can't i It was ok and wasn't that interesting as I expected it to be . The book started good but at 25% it was too difficult for me to read it but I did anyway . There were some funny moments though . Narrater's friend kim seemed a funny woman too and The book is full of depressed thoughts in the starting . But there are many beautiful thoughts of narrater you just can't ignore . humans are attracted to the beautiful light, this light called love, and, when they reach it, they’re generally burnt to a crisp too. With his emotional time clock ticking, a lonely and desperate man searches for love in all the wrong places, only to find that maybe it isn’t love with another he is searching for, until he can learn to love himself. Morgan Stanfield travels to Russia, in search of the woman he has corresponded with on a Russian brides’ site. Alone in a strange and frigid country, this 38-year-old California man is stood up, used, lied to and tricked. Already disillusioned by American dating services, the haunti With his emotional time clock ticking, a lonely and desperate man searches for love in all the wrong places, only to find that maybe it isn’t love with another he is searching for, until he can learn to love himself. Morgan Stanfield travels to Russia, in search of the woman he has corresponded with on a Russian brides’ site. Alone in a strange and frigid country, this 38-year-old California man is stood up, used, lied to and tricked. Already disillusioned by American dating services, the hauntingly beautiful faces of these Russian women conjure visions of saving an appreciative damsel who is sincere, loving and will forever see him as a hero. Ah, the dreams of a romantic soul, naïve, an easy mark for the wiles of the conniving female population. Is his dream woman waiting for him or will Morgan stand a better chance of snagging a bottle of good Russian vodka? From Afar by Frank Scozzari is a an often humorous tale of one man’s search to find happiness as he continues to see the best in humanity, in spite of the easy prey he has become. Mr. Scozzari has taken us to Russia, shared its streets, landmarks and even their beliefs in superstitions. We have the opportunity to feel the Russian weather, the demeanor of their people and are spared the flight, customs and being alone in a foreign land. Unfortunately, our Morgan isn’t as lucky as he wraps himself around your heart with his sincere beliefs that people are basically good. Sometimes heartbreaking, sometimes you may want to roll your eyes and sometimes, laughter and head shaking is all you can do when Morgan acts like the guy who runs up the stairs, in the dark in a bad slasher movie. I normally politely reject the offers to read and review f/m romance books. Honestly, I’m not a target audience for this kind of book, but I agreed to try this one, because…yes, because of placing and settings, and the blurb sounded funny. I have to admit, the author made me curious in the beginning: Morgan Stanfield is an average California guy in his middle age, who, after spitting from his girlfriend of 7 years, desperately wishes at last to find his soul mate. On the Internet. Russian bride sites offers the most beautiful girls, it is why he decides that his dream woman lives in Russia. After some beginner’s mistakes, that cost him large sums of money and sarcastic comments from his best friend, he sets off for his future fiancée newfound candidate for his life partner to Sankt Petersburg. It was to expect that nothing would run smoothly, considering the nativity of Morgan, and probably he’ll find what he is looking for at the end, but I suddenly lost the interest in his adventure. It started to appear very documentary in a way, I didn’t like any more. You know, these TV reports “men form the west looking for a wife in from Eastern Europe“. I am not inspired to read about the adventure of a California bachelor, who comes to Russia to meet a woman of his life after he and his “best choice” just exchanged some emails and had a single short phone conversation, but who already use the magic, big “L” word for explaining their feelings. I have to confess though that Frank Scozzari has a nice simple writing style that could have been a winner if he had kept the story light and hilarious. But it was not the case. No rating, I didn’t come too far, besides, honestly, it is really not my genre. ***ARC provided by the author, in exchange for an honest review. From Afar is unlike any story I’ve read, and I’m glad I took the opportunity to read it. Author Frank Scozzari is masterful in his description of Morgan Stanfield’s quest to find his one true love, traveling all the way from California to Russia. The story takes some unexpected turns and the characters Morgan meets along the way add richness to the reader’s experience. I very much enjoyed From Afar: A Memoir, and encourage anyone looking for a descriptive book that takes you on a beautiful journ From Afar is unlike any story I’ve read, and I’m glad I took the opportunity to read it. I very much enjoyed From Afar: A Memoir, and encourage anyone looking for a descriptive book that takes you on a beautiful journey, to check it out! This is excellent writing, I was completely engrossed in Morgan’s Russian adventure and raced through this book in no time. Morgan seems to be quite an unlucky guy, so there are many moments of hilarity when his visit to Russia doesn’t go as planned. I really admired him when he chose one of the Russian ladies to correspond w As soon as I read about the intertwined skeletons at the beginning I knew I was going to love this book. It’s not at all what I expected which is what makes it so brilliant. This book introduces you to Morgan Stanfield, a Californian searching for the one true love - in Russia. With From Afar: A Memoir, Frank Scozzari has created an unforgettable and enjoyable story with a hint of romance. The story comprises a variety of interesting characters with sufficient depth and an excellent combination of a hopeful journey and entertaining interactions. 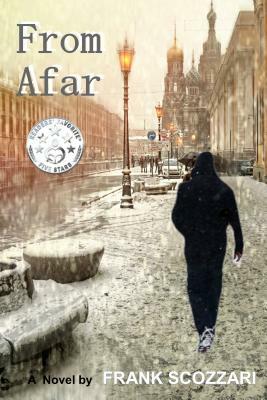 I had a great time reading From Afar: A Memoir - it is a very enjoyable and heart-warming read. I was drawn into the story This book introduces you to Morgan Stanfield, a Californian searching for the one true love - in Russia. With From Afar: A Memoir, Frank Scozzari has created an unforgettable and enjoyable story with a hint of romance. The story comprises a variety of interesting characters with sufficient depth and an excellent combination of a hopeful journey and entertaining interactions. I had a great time reading From Afar: A Memoir - it is a very enjoyable and heart-warming read. I was drawn into the story right away, like an invisible and close friend. Morgan is a very likeable character. 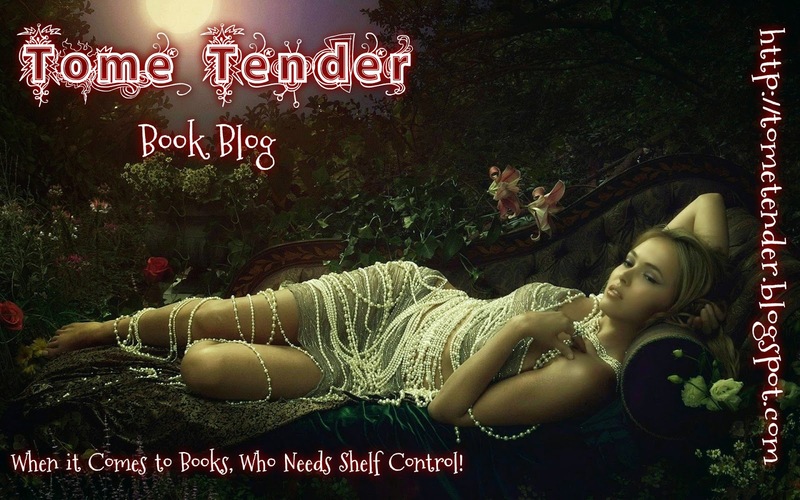 The story is expertly plotted and has some very nice turns; a fast and fun read. This is for you if you like fast, fun and heart-warming reads and a touch of romance. This is a very pleasant book to read again. Note: Thank you, NetGalley, for providing me with a copy for review. I can't keep up with the pretentious only-two-centimeters-away-from-you Morgan Stanfield, I just can't. Bonus: Scenic descriptions of the historical St. Petersburg. I didn't read along to form further consensus. Morgan Stanfield is tormented by his recent breakup and wants true love. He started searching the Internet for beautiful women in Russia. From Afar was a funny tale, with detailed advice from local friends and new ones met on this International scene. Friends in Santa Barbara, California where Morgan lives think he's out of his mind to follow such notions. Later advice from new acquaintances on a plane to Russia, left me roaring at the epidemic of men rushing to Saint Petersburg and other places Morgan Stanfield is tormented by his recent breakup and wants true love. He started searching the Internet for beautiful women in Russia. Later advice from new acquaintances on a plane to Russia, left me roaring at the epidemic of men rushing to Saint Petersburg and other places in Russia for beautiful women. Many of the men misrepresent themselves and profess love and commitment to several women at a time though these Russian women are not aware of all the others in the pipeline. However, not our main character Morgan, who is looking for true love, his soulmate. He doesn't want to take advantage of any woman. From Afar shows Morgan's captivating search for love in Russia through his jet-lagged, and incurable romantic eyes as he ever searches for Natasha. The ups and downs of this story give an inside glimpse of viewing love at a distance. At times protected by rose colored glasses, Morgan finds a country full of lush characters, architecture, and dangers for the heart and soul. The author, Frank Scozzari, and this blend of humor and portraying Morgan's unselfish hope for love left me rooting for his tenacious, incurable romantic views on commitment. For the most part, vivid realism peppers the pages. I couldn't put this book of love down. Such bittersweet experiences of Morgan's frustration when plans dissolve into thin air. Luckily the roller-coaster ride of relationships portrayed the good in people too, like befriending a helpful Russian cab driver among other cabby's ready to eat travelers alive. 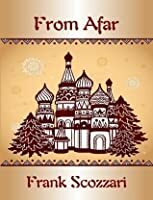 To hidden kindness in a parched land and the magnificent descriptions that leave the reader wanting to go to Russia to partake of its fairy tale beliefs and feel the bitter cold of the weather and scams. I'd specifically recommend this book to people of all ages who enjoy foreign travel, romance, art history, and amazing Russian art. I'd further recommend it for anyone not giving up on love or anything worth waiting for, searching and keeping the humor of it all. Morgan Stanfield is lonely, yet he believes in happily ever after and eternal love to the point of obsession and his outlook on love and relationships comes across amusingly boyish. After American dating services don’t deliver the ideal woman, he subscribes to a site where men seek Russian brides. Soon he’s leaving sunny California on a flight to Russia to meet a woman he believes will end his quest to find the perfect woman. His initial naïve outlook on love gradually evolves to a more cynical Morgan Stanfield is lonely, yet he believes in happily ever after and eternal love to the point of obsession and his outlook on love and relationships comes across amusingly boyish. After American dating services don’t deliver the ideal woman, he subscribes to a site where men seek Russian brides. Soon he’s leaving sunny California on a flight to Russia to meet a woman he believes will end his quest to find the perfect woman. His initial naïve outlook on love gradually evolves to a more cynical view as the story progresses. The story is fascinating on many accounts (spoiler alert). The author is very skilled at his craft. The descriptions of the Russian people, places and culture were amazing and the introspective discussions on relationships and love thought provoking. I was captivated by kind, generous Morgan and felt very connected to him as I traveled with him to this distant, freezing cold place, watching him encounter several individuals that were evil opposites to his good nature take advantage of him, forever tainting his rosy view of love and life. I highly recommend this book and look forward to reading more of Scozarri’s work. Where do I start..this was such a lovely little love tale, or loveless tale depending on which way you look at things. We follow Morgan in his search for love in Russia after failing to find the love he craves in America. Morgan is the hapless romantic type.. truly believes in love and he wants to find it. Obviously things don’t always go his way and the author brings some depth to the character by showing Morgan struggling with his emotions and his changing views on love. It’s a sweet story and Fr Where do I start..this was such a lovely little love tale, or loveless tale depending on which way you look at things. It’s a sweet story and Frank gives you some great insight into Russia also, I know next to nothing about the country so it was very interesting to read. Frank has a way with words; he manages to put humour and angst together so well. You want to laugh and cry at the same time. This book surprised me in a delightful way inasmuch as it was all about love without one single real physical connection happening between two people. Morgan reminded me so much of many people I have met and even myself at times in my life so it was so easy to relate to his relentless hope of finding that special someone. That electric wish to be in the full flush of new love that blinds us to so many things that are wrong. The descriptive of Russia was a delight and I imagined myself walking dow This book surprised me in a delightful way inasmuch as it was all about love without one single real physical connection happening between two people. Morgan reminded me so much of many people I have met and even myself at times in my life so it was so easy to relate to his relentless hope of finding that special someone. That electric wish to be in the full flush of new love that blinds us to so many things that are wrong. The descriptive of Russia was a delight and I imagined myself walking down those streets, wanting to tap Morgan on the shoulder and introduce myself. I need to buy one of those hats before I get on a plane. I was also expecting the usual ending (I won't spoil it) but suffice it to say that I loved the whole book, even the un-expected end as it leaves your imagination to complete it however you wish. Well done Mr Scozzari, a beautiful and well written gem. Very much recommended. I received a copy of “From Afar” in exchange for an honest review, and I was pleasantly surprised by how much I enjoyed it. Morgan Stanfield’s often emotional journey, later set in vivid detail in the streets of St. Petersburg, Russia, quickly captured my attention. And Mr. Scozzari’s wit and sarcasm had me laughing out loud. It was a quick, fun and thoroughly entertaining read. I highly recommend it! Glance through California author Frank Scozzari's biographical data and the seeds of his fertile mind and imagination and poetic inclinations are evident. Born in New York, Frank soon after birth moved to California, graduated form Cal Poly, San Luis Obispo, and spent his young years on a trek through the world, gathering information and experiences across America, twice trekked the John Muir Trail, backpacked through Europe, camel-backed the ruins of Giza, jeep-trailed the length of the Baja peninsula three times, globe-trotted from China to the Pyrenees to the White Nights of northern Russia, and once climbed Mt. Kilimanjaro - the highest point in Africa - for his many writings. He has been a four-time Pushcart Prize nominee, and his award-winning short stories have appeared in numerous literary magazines including The Emerson Review, Berkeley Fiction Review, Tampa Review, War Literature & the Arts (U.S. Air Force Academy), Pacific Review, Eleven Eleven, The Bitter Oleander, South Dakota Review, Minetta Review (NYU), Hawaii Pacific Review, Ellipsis Magazine, The Nassau Review, The MacGuffin, Reed Magazine, The Broken Plate, Roanoke Review, and Short Story America, and have been featured in literary theater. Impressive, yes, but all that is simply background white noise when compared to the experience of reading Frank's work - this particular novel FROM AFAR being a prime example. Prediction: with this novel Frank Scozzari will become planted in the field of important American authors of the day. He writes with infectious energy, humor, angst, and sensitivity and teaches us more about love than most authors attempt in a lifetime. Highly Recommended. The search for love is the eternal struggle that has plagued the world for generations. From Afar by Frank Scozzari takes a look at the modern day search for love with online dating sites and international searches. The story opens with a man, Morgan, who is looking for love. He has tried all the dating sites and on a whim, he tries a Russian bride site. He finds Natasha and “falls in love” and when he contacts her, she politely declines because she has already found someone. He then finds someo The search for love is the eternal struggle that has plagued the world for generations. From Afar by Frank Scozzari takes a look at the modern day search for love with online dating sites and international searches. The story opens with a man, Morgan, who is looking for love. He has tried all the dating sites and on a whim, he tries a Russian bride site. He finds Natasha and “falls in love” and when he contacts her, she politely declines because she has already found someone. He then finds someone else and is determined to go to Russia and meet her. All his friends thinks he’s crazy and warn him about the dangers and scams that these sites can hide but he is determined to find love, even if he has to travel thousands of miles. When he arrives in Russia, nothing is to his expectations. He learns that foreigners get charged one price while locals get charged another. He travels around the city of Moscow and learns about the beautiful and tragic history of the Russian people. He meets Anastasia, who is only after his money, thinking that all Americans are rich like on TV. He becomes discouraged until he meets an older married couple who like to discuss the works of Alexander Pushkin who discusses the eternal struggle of love. Will Morgan ever find love? I enjoyed this book immensely. I enjoyed the setting and the contradiction that is Russia. As the author puts it: a conundrum of love and war, friendly and unfriendly, warm and cold, laughter and tears, the hero and the villain. I enjoyed that this story wasn’t a typical romance story where man travels of miles, falls in love and they live happily after. From Afar leaves the audience with thought provoking ideas about love and how the world sees love. I highly recommend this book for anyone who wants to read a great and atypical love story. From the onset, this book grabbed my attention. The main character is a likeable character, which for me, is important in a story. While Morgan is not the sharpest guy, he is easy to sympathize with during his quest to find the love of his life. After the failure of a 7 year long relationship, he turns his attention to Russia and its intriguing women. Here, the struggles continue, as his naïve nature makes him a prime target for the dishonest. Morgan is taken for some cash early on, but instead From the onset, this book grabbed my attention. The main character is a likeable character, which for me, is important in a story. While Morgan is not the sharpest guy, he is easy to sympathize with during his quest to find the love of his life. After the failure of a 7 year long relationship, he turns his attention to Russia and its intriguing women. Here, the struggles continue, as his naïve nature makes him a prime target for the dishonest. Morgan is taken for some cash early on, but instead of giving up, he continues, going so far as to fly to Russia to meet a woman whom he has corresponded with a few times. This meeting does not go well, either, and the situation becomes rather laughable. Still, you never feel sorry for Morgan for long as I wanted to see what trap he fell for next. I won't give anything away, but this story is a well-written romantic escapade with ups and downs and an overall positive message. If it were turned into a film, I think it could be compared to "Lost in Translation", only with a more upbeat main character. This book does suffer a bit from poor editing. There are several misuses of words that should have been caught, like "loose" instead of "lose" and "split" instead of "spilt", that sort of thing. Punctuation was off a bit, too (case in point, commas before 'too' in my usage here are not found). However, none of this took away from the meat of the story. I believe it to be wonderfully thought out and well constructed. The errors may well be lost on many who read for speed. As an editor, they hit me like little speed bumps. Amid the paradoxical scenery of St. Petersburg, Russia, author Frank Scozzari weaves a realistic look at the intricacies of love and the toss of the dice that is finding love and falling in love. In spite of rolling snake eyes consistently in the game of love, Morgan Stanfield is an incurable romantic, an optimist who holds out hope that love can be found. Having made the rounds of all the online American dating services, Morgan takes his search for love global and ends up pursuing the idea of lo Amid the paradoxical scenery of St. Petersburg, Russia, author Frank Scozzari weaves a realistic look at the intricacies of love and the toss of the dice that is finding love and falling in love. In spite of rolling snake eyes consistently in the game of love, Morgan Stanfield is an incurable romantic, an optimist who holds out hope that love can be found. Having made the rounds of all the online American dating services, Morgan takes his search for love global and ends up pursuing the idea of love amid the frozen Russian landscape. Betrayed, tricked, taunted, and returning as alone as he began, Stanfield nevertheless finds beauty in the journey, richness in Russia’s heritage, and the sobering realization that love is worth the risk. Scozzari has an often whimsical, if cynical way of looking at life and love; yet his metaphors weave a rich tapestry of cold and warmth, hope and disappointment with familiar, yet larger than life characters from the worn and ragged elderly babushka to the philosophical professor of literature. In From Afar, Scozzari takes readers on a rollercoaster ride to explore the rituals of love and the innate yearning of humans to love and be loved. From Afar is not the usual romance novel, yet it is a fine piece of poetical prose revealing the complexities trying to find love with likeable characters and a style that hooked me from the first page. Frank Scozzari has the gift all the best novelists have. He can take the most mundane, everyday facts of our lives and use them as a base for the most profound examinations of those lives. Jane Austen had this gift, and William Dean Howells had it, and most recently the great British novelist David Lodge had it. And now Frank Scorrizzi is showing us in his novel From Afar that he has it, in spades. Scozzari’s comic novel is about Morgan Stanfield, a not-so-young man who is so naïve about love and Frank Scozzari has the gift all the best novelists have. He can take the most mundane, everyday facts of our lives and use them as a base for the most profound examinations of those lives. Jane Austen had this gift, and William Dean Howells had it, and most recently the great British novelist David Lodge had it. And now Frank Scorrizzi is showing us in his novel From Afar that he has it, in spades. Scozzari’s comic novel is about Morgan Stanfield, a not-so-young man who is so naïve about love and how it works in the world that he readily believes that one can find true and complete and eternal love with a Russian beauty by means of online dating. This belief leads him from sunny California to frozen Russia. The remarkable thing about Scozzari’s novel is that his portrayal of Morgan and his naïve quest for true love in St. Petersburg had me cheering Morgan on all the time I was shaking my head at his overwhelming and unbelievable innocence. Like Tommy Wilhelm in Saul Bellow’s great novel Seize the Day, Morgan Stanfield is a fool, but one that we feel for because his foolishness is the foolishness all men share. Let me also say that Scozzari really seems to have done his homework when it comes to internet dating and St. Petersburg, Russia. Half of the fun of reading the novel was finding out about the intricacies of the former and feeling the cold winter’s blast of the latter. This is a novel I will definitely recommend to my friends. Wow! This is a beautifully written, emotionally investing story and honestly, I felt myself sad to see it end. It was one of those stories I wasn't ready to let go of. From Afar is the story of a man named Morgan, who searches desperately for love. He's willing to do anything to find it and even resorts to online dating and Russian bride sites. His search for the one takes him across the world, and we get to go along with him on his journey to meet a woman in Russia. He is a lonely man, desperat Wow! This is a beautifully written, emotionally investing story and honestly, I felt myself sad to see it end. It was one of those stories I wasn't ready to let go of. From Afar is the story of a man named Morgan, who searches desperately for love. He's willing to do anything to find it and even resorts to online dating and Russian bride sites. His search for the one takes him across the world, and we get to go along with him on his journey to meet a woman in Russia. He is a lonely man, desperately searching for someone and a naive traveller in a foreign country. But he's such a good man and so deserving of love that I couldn't help feeling nervous for him! Morgan's journey is less about love and more about finding himself, which is what I enjoyed most about the book. The story as a whole was thought-provoking and meaty; the author did a fantastic job of sucking the reader into Morgan's world and making us fall in love with his character. The author's writing style is vivid and emotionally charged. My heart ached for Morgan. I love when a story takes me to a setting I've never been to before, and the writing keeps me so engrossed and is so surreal, that I feel like I'm experiencing it firsthand with the main character. "Love is the ultimate tragedy, I thought." A sentence taken From Afar. ~WOW ~ What a tale of desiring an everlasting love. The main character, Morgan had a seven year relationship that fizzled, and now in his mid-thirties, he desperately sought love. He decides to search in the foreign land of Russia. The author, Frank Scozzari takes the reader on a virtual tour of the magnificent Russia. Either Mr. Scozzari had researched the area to perfection or he visited Russia. His descriptions are very in "Love is the ultimate tragedy, I thought." A sentence taken From Afar. ~WOW ~ What a tale of desiring an everlasting love. The main character, Morgan had a seven year relationship that fizzled, and now in his mid-thirties, he desperately sought love. He decides to search in the foreign land of Russia. The author, Frank Scozzari takes the reader on a virtual tour of the magnificent Russia. Either Mr. Scozzari had researched the area to perfection or he visited Russia. His descriptions are very intricate, intriguing, and interesting. I really liked Morgan, but I groaned several times at his gullible nature when it came to women. I wanted to shake him, much like his friend Kim. He is a melancholy soul that seemed to get played at every angle and turn. What irked me, he seemed okay with it. Well, not entirely okay, but it sunk him into a further depressive state. I believe when the Russian Mafia came into the picture, Morgan finally got a backbone, but, who can fight the mafia? Who knew that men suffered the same anxiety and anguish as women over finding someone with whom to share their lives? Frank Scozzari holds nothing back in this exploration of Morgan Stanfield, a 38 year old who is becoming increasingly desperate in his search for love. Told in first person by the main character, we get right inside his head with a panoramic window to his world. We meet him as he scours dating sites, having turned to them after a seven-year relationship ends when the woman decides Who knew that men suffered the same anxiety and anguish as women over finding someone with whom to share their lives? Told in first person by the main character, we get right inside his head with a panoramic window to his world. We meet him as he scours dating sites, having turned to them after a seven-year relationship ends when the woman decides it’s going nowhere and calls it quits. The story is cleverly told. The anxiety permeating throughout is obvious but the anguish is subtle. Scozzari infuses his character with a mix of self-deprecation, dark wit, spurts of great optimism dashed down with cynicism, well-meaning advice, mirth and derision, as well as the cruelty of others. The location and scenic descriptions of St Petersburg are intimate and brought to life. This is a book I’m still thinking about several days after I finished it. Frank Scozzari's poetic search for love will stay with you long after you've set this book down. The author patiently unfolds his story and pulls the reader along in Morgan's quixotic quest to find his mate in Russia. It's no spoiler to recite that Morgan's journey is ultimately the payoff of this fine work, regardless of the outcome of his search. The premise that love from afar is more captivating than love close at hand overlays a poignant, sometimes humorous, and entertaining A five star work.